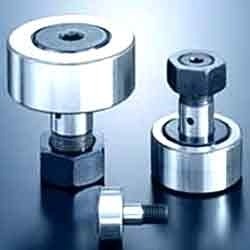 We are instrumental in offering our clients IKO Cam Follower Bearings which are highly demanded in the market. Our IKO Cam Follower Bearings are known for accurate dimensions. Each IKO Cam Follower Bearing is compact and requires low maintenance. Our IKO Cam Follower Bearings are properly tested under strict industry norms to prevent defects. These IKO Cam Follower Bearings can be obtained at competitive prices.